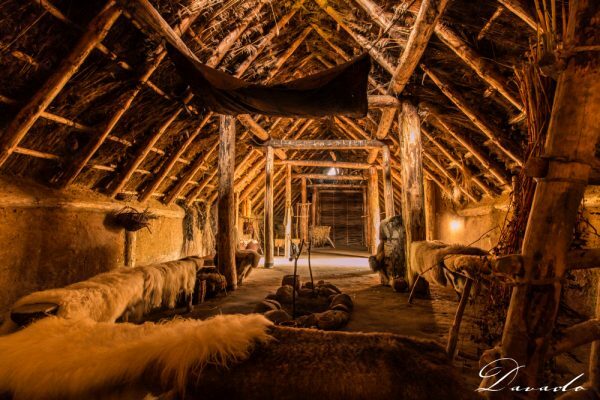 Outside in the open air, the Hunebed Centre takes you on a journey back into prehistory. The story which you saw in the Gateway to the Hondsrug UNESCO Geopark here becomes a reality. 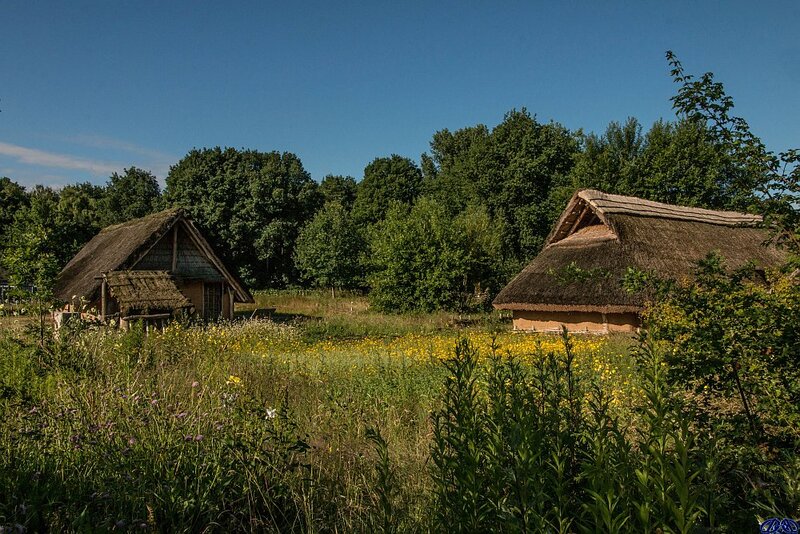 In the Oertijdpark (Prehistoric Park) you can take a stroll through prehistory and learn more about the lives of our ancestors. 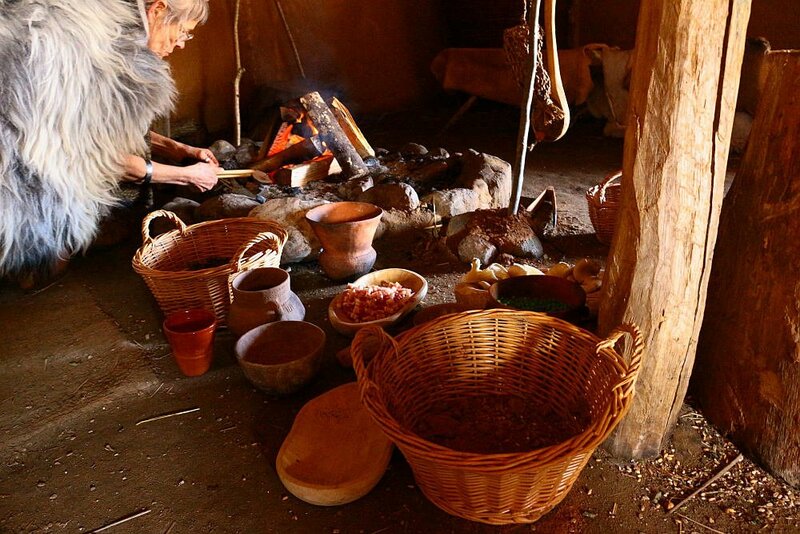 Look inside their dwellings and farmhouses and you will see how these people lived. 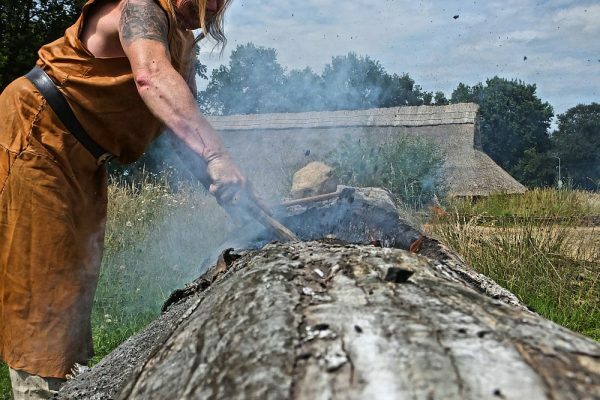 Beginning with a Neanderthal camp, the path leads you past a reindeer hunter’s tent, a hut from the middle of the Stone Age, burial mounds, an ancient wooden causeway through the peat bog, past a hunebed excavation and into the prehistoric village. 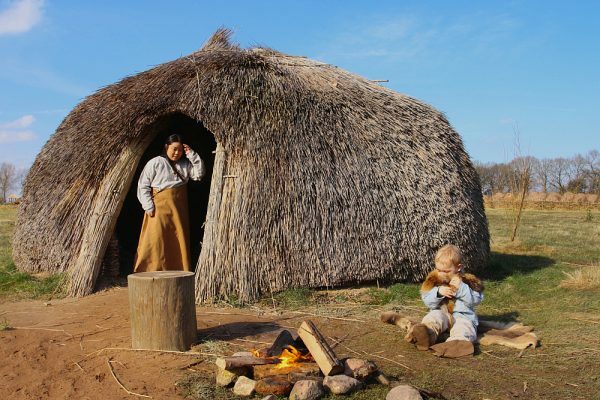 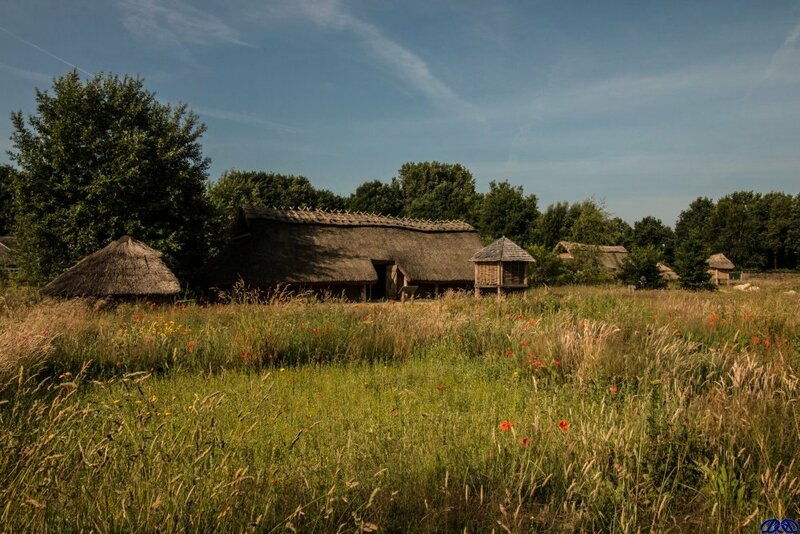 Here you can view the ancient fields, go inside reconstructed houses from three different prehistoric periods and see, feel and even smell what life was like in those far-off times. 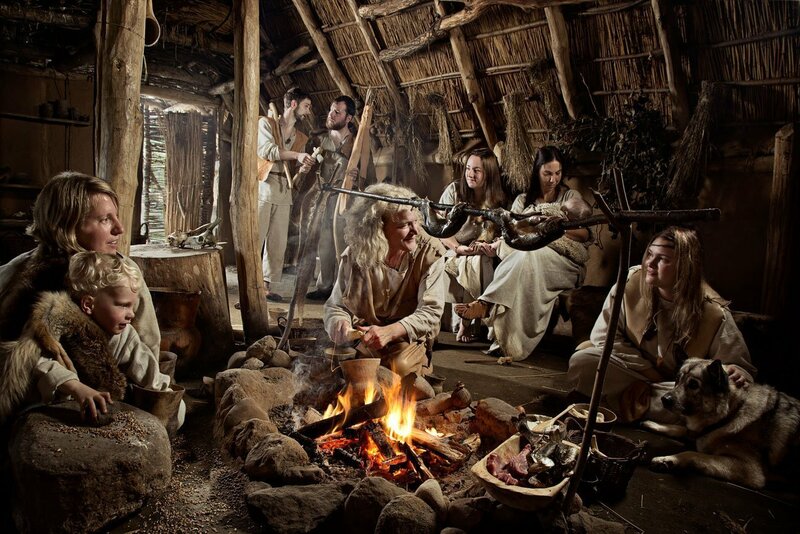 Often you will meet some of these ancient people who will tell you their stories and show you how they lived – lighting fires, cooking, shaping flints, dying wool, working with wood and many other activities. 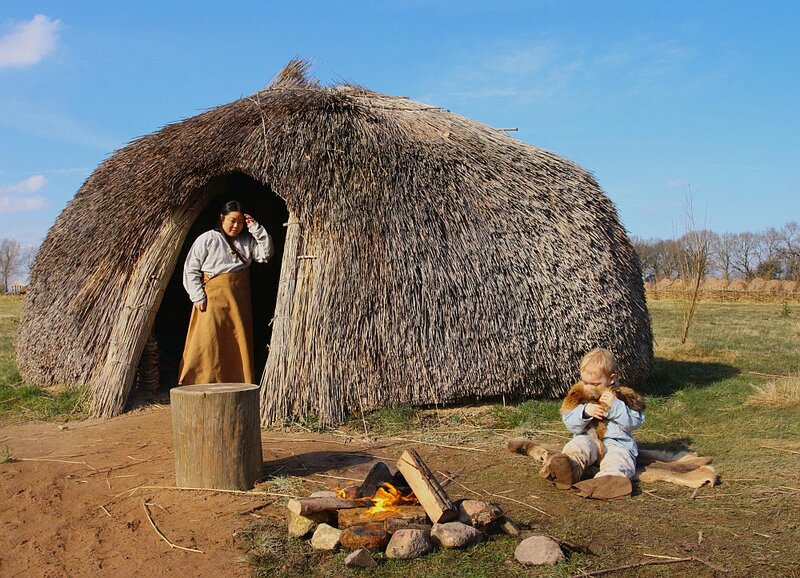 There is still more to see in the Prehistoric Park. 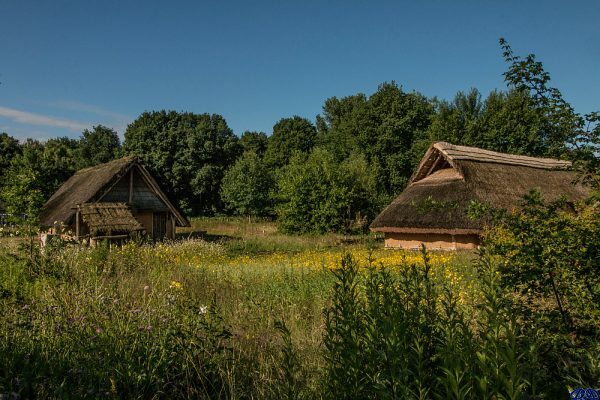 Follow the barefoot path to experience how it feels to walk on natural materials; a Butterfly Garden full of magnificent insects during the spring and summer; and an archery range where you can shoot a bow and arrow supervised by capable staff. 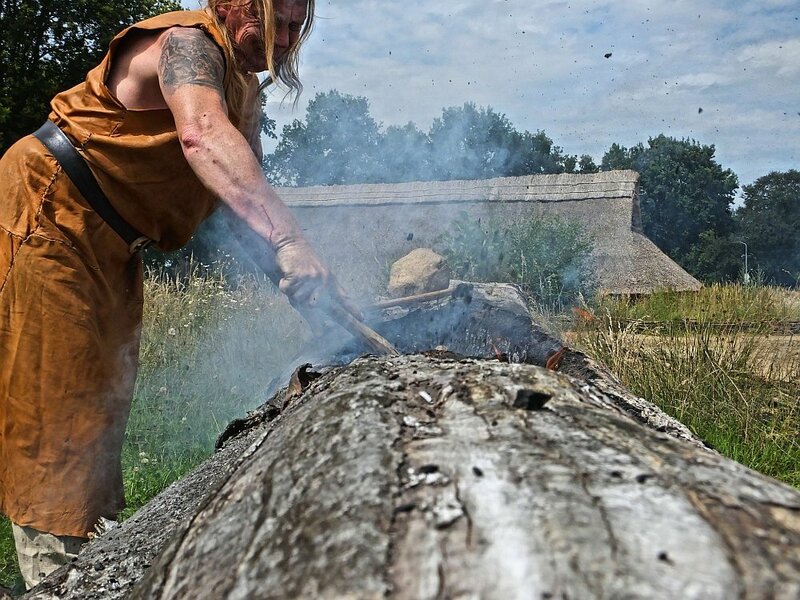 And when you’re tired you can take a rest at one of the picnic tables.